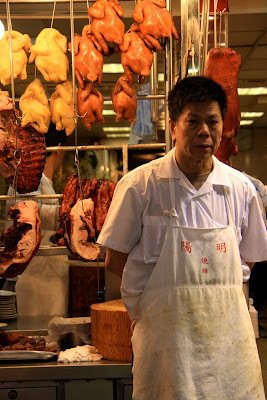 On my last day in Hong Kong I had a hankering for Cantonese roast duck, and after a morning rattling around on the tram I got off at a randomly interesting spot, and wouldn't you know it? A roast duck restaurant appeared soon after. The duck was moist and tender with a crisp skin, and a delicate hint of five-spice. Perfection.